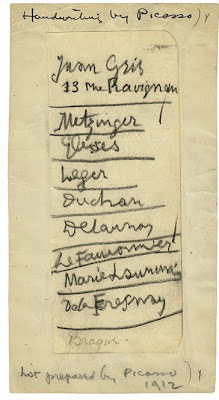 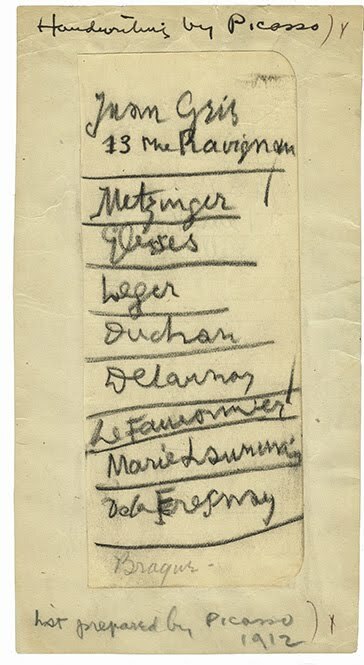 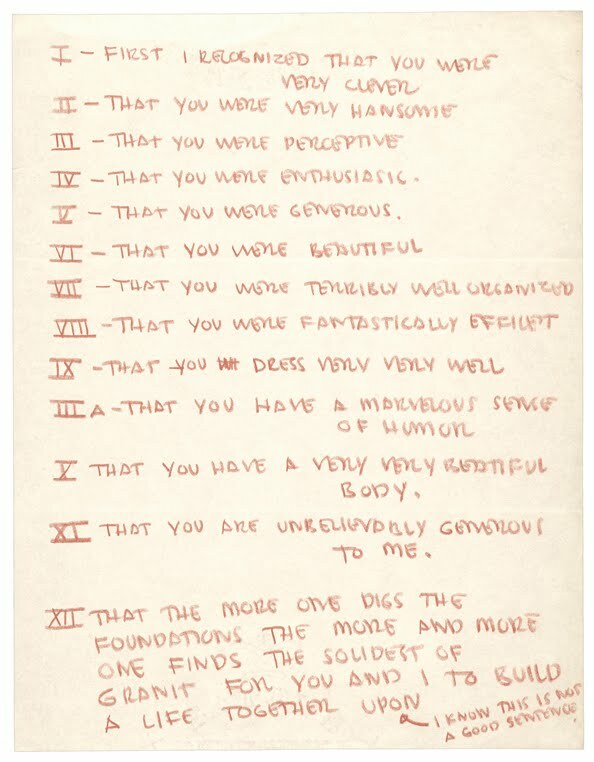 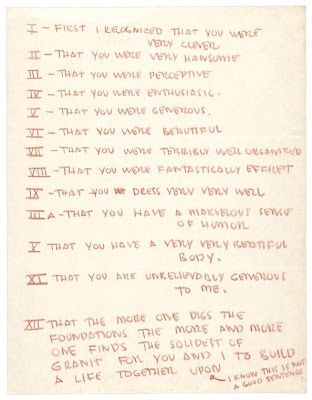 Eero Saarinen's list of his bride's [Aline Bernstein] good qualities. 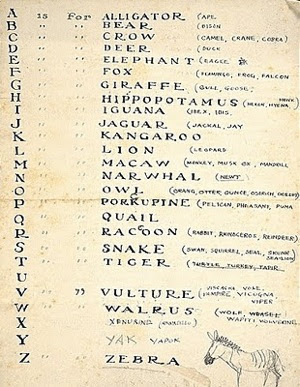 This list by animal artist, Paul Bransom [1885-1979] was likely a draft for an animal alphabet book. This "dean of animal artists" illustrated many books, including Jack London's Call of the Wild. 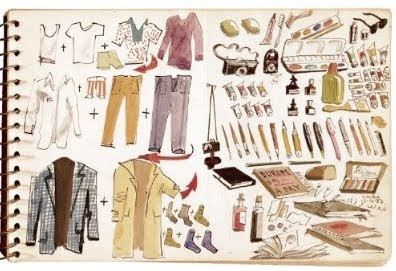 Realist painter, Alfred Konrad painted a list of things to pack for travels through Rome and Egypt in 1962-1963. 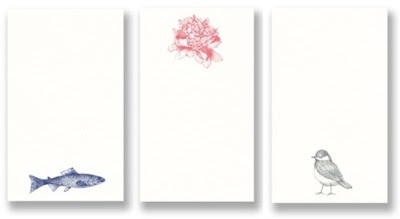 If you are passionate about lists, see our collection of Vera Wang Jotter Card Packs. 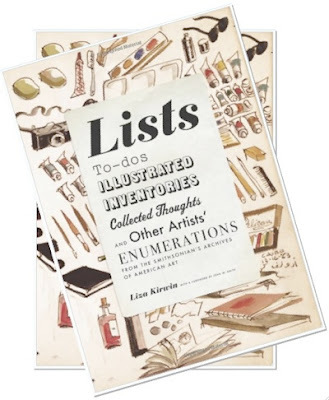 They are just what you need for jotting things down!